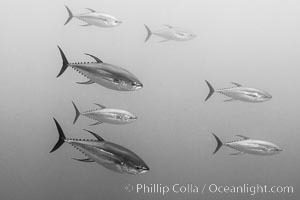 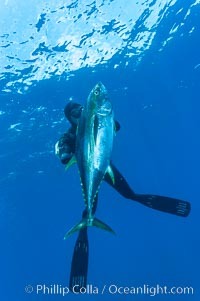 Yellowfin tuna at the Boiler, San Benedicto Island, Revillagigedos, Mexico. 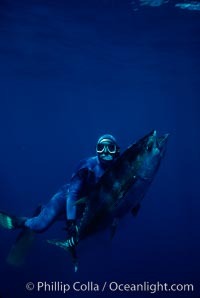 Chris Thompson and yellowfin tuna speared at Guadalupe Island. 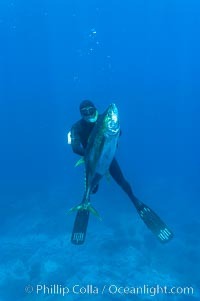 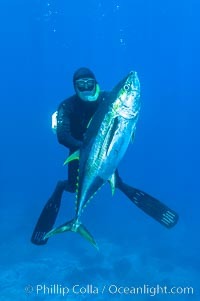 Joe Tobin and speared yellowfin tuna. 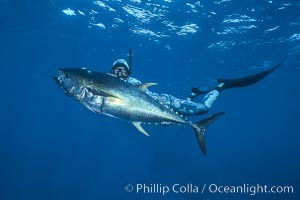 Scott Campbell and yellowfin tuna. 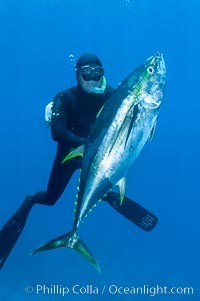 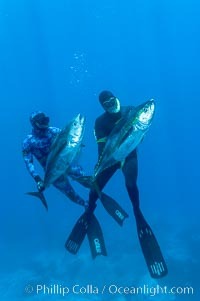 Joe Tobin and yellowfin tuna speared at Guadalupe Island. 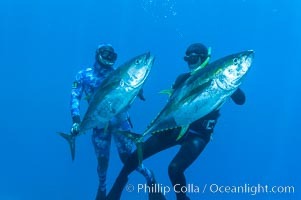 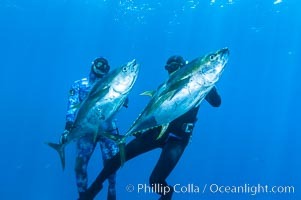 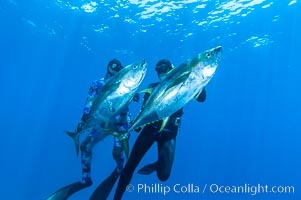 Joe Tobin (left) and James Tate (right) with yellowfin tuna (approx 60 pounds each), taken by breathold diving with band-power spearguns near Abalone Point. 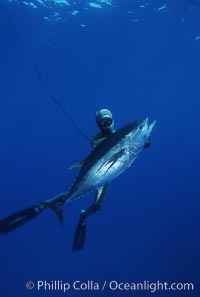 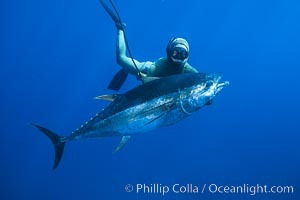 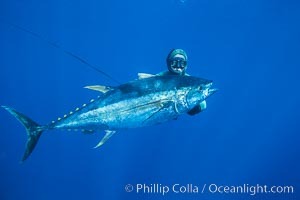 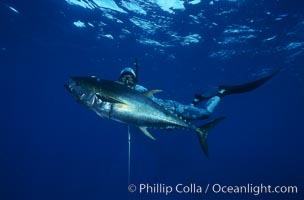 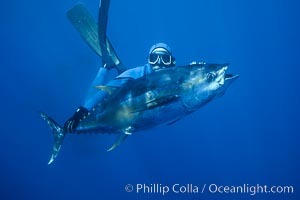 Guadalupe Island, like other Eastern Pacific islands, is a fine place in the world to spear large yellowfin tuna. 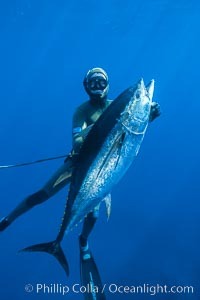 July 2004. 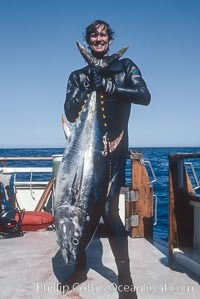 James Tate with yellowfin tuna (approx 60 pounds) taken by breathold diving with a band-power speargun near Abalone Point. 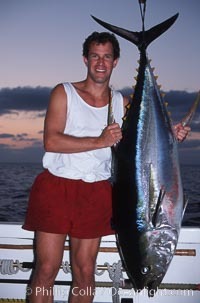 July 2004.